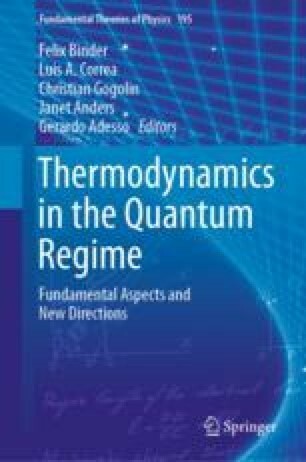 The operation of a quantum heat engine in finite time generally faces a trade-off between efficiency and power. Using shortcuts to adiabaticity (STA), this trade off can be avoided to engineer thermal machines that operate at maximum efficiency and tunable output power. We demonstrate the use of STA to engineer a scalable superadiabatic quantum Otto cycle and report recent experimental progress to tailor quantum friction in finite-time quantum thermodynamics. In the presence of quantum friction, it is also shown that the use of a many-particle working medium can boost the performance of the quantum machines with respect to an ensemble of single-particle thermal machines. This chapter reports on joint work with Shuoming An, Mathieu Beau, Cyril Chatou, Ivan Coulamy, Pengpeng Diao, Ken Funo, John Goold, Juan Diego Jaramillo, Kihwan Kim, Fang Li, Mauro Paternostro, Marek M. Rams, Masahito Ueda, Shi Yu and Jing-Ning Zhang, and Wojciech H. Zurek. It has further benefited from discussions with Obinna Abah, Sebastian Deffner, Luis Pedro García-Pintos, Fernando J. Gómez-Ruiz, Jiangbin Gong, Christopher Jarzynski, Ronnie Kosloff, Peter Hänggi, Eric Lutz, Doha M. Mesnaoui, Victor Mukherjee, José Pascual Palao, Dario Poletti, Stuart A. Rice, Peter Talkner, B. Prasanna Venkatesh, Gentaro Watanabe, and Zhenyu Xu. We acknowledge funding support from the John Templeton Foundation, and UMass Boston (project P20150000029279).